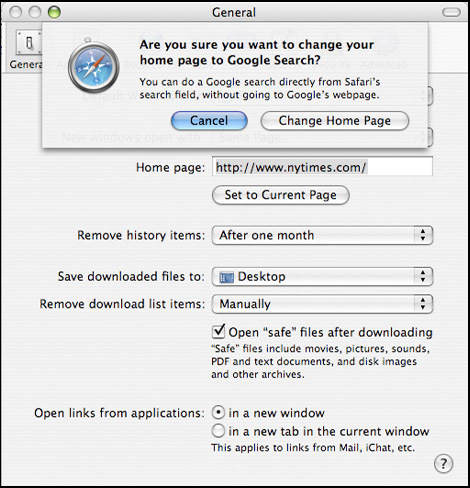 Safari Second-Guesses You When Setting Homepage To Google | OhGizmo! Of course, the likely reason this is happening is that Apple gets paid every time someone does a search through Safari’s search field, but it’s interesting behavior nonetheless. It’s possible that this has been around for some time (and we hear it does the same thing with Yahoo! ), but it’s the first we hear of it.